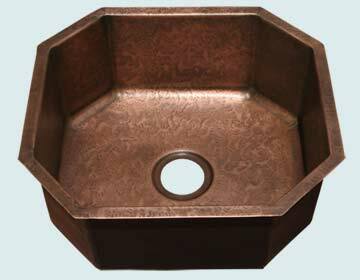 Handcrafted Metal offers an outstanding selection of custom Bar Sinks in a variety of metals, custom shapes, and custom dimensions. 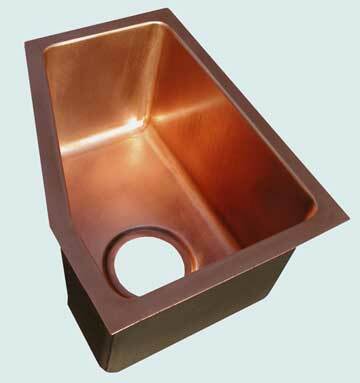 We can build any custom bar sink to your dimensions in copper, zinc, stainless steel, bronze, or pewter. 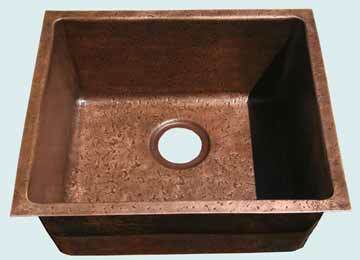 Further customize your custom bar sink with a hammered texture and fine finishes and patinas. 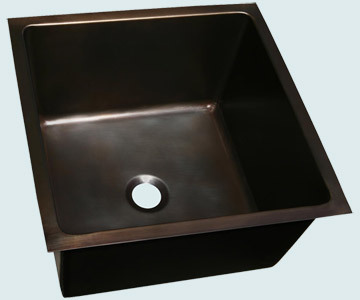 Each sink is available with drop-in mount, under mount, or flush mount rims. 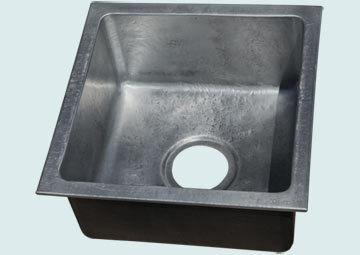 This small sink is made completely from smooth zinc. 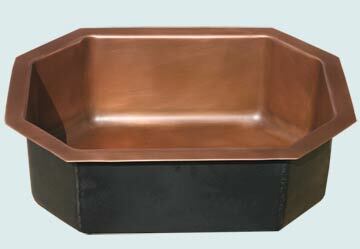 It's naturally-colored and is built to accommodate a 3.5" drain. A delightful design with Ray's Famous Hammering - everybody wants to work in the kitchen now! Medium antique brings-out the beauty of Ray's Hammering. 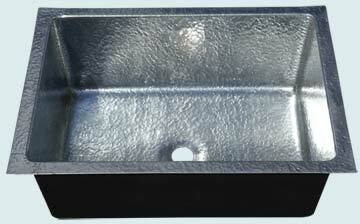 This lovely sink is fully Random Hammered and made entirely from 16 gauge zinc. It is fully welded and polished, then the semi-gloss final finish is applied. It is stunning! 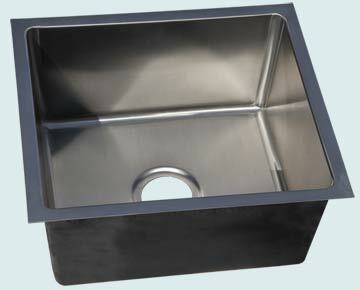 This 17" x 17" undermount bar sink is large enough to serve as a prep sink or a roomy bar sink. All interior corners are 3/4" radius coves for easy cleaning. All welded 16 gauge bronze, smooth surface, dark bronze patina, lacquer clear coat. This custom drop-in zinc sink features our reverse hammered texture, which provides a very nice compliment to your counter top. All interior corners are 3/4" radius cove construction for easy cleaning. 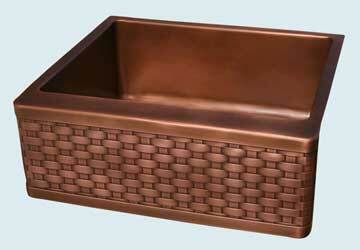 Our natural finish will change colors and darken with use. All welded 16 gauge zinc, natural finish. 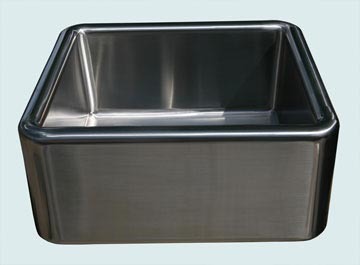 Our custom stainless bar sink is the ultimate in durability. All interior corners are easy clean 3/4" radius coves. 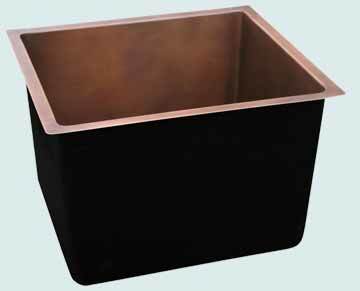 Available with bar, lav, or kitchen drains in custom sizes and mounting styles. 14 Gauge stainless, micrograin finish. Reverse hammering gives this sink a delightful texture. The medium antique gives it age. 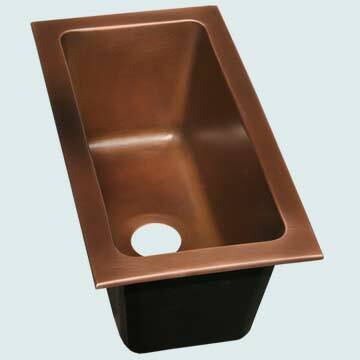 Hammering on the out rim lets this sink install as either an undermount or a drop-in. 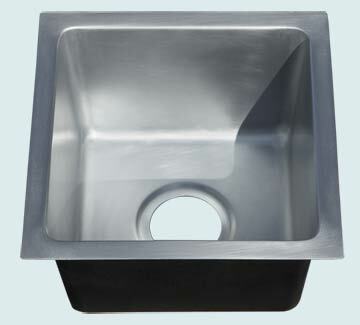 This deep pewter bar sink features zero radius corners. We reinforce this sink with a fiberglass outer shell for rigidity, and we coat the exterior with sound deadner insulation. Welded 14 gauge pewter, natural matte finish. Our polishers applied the special butterfly finish to add sparkle and hide scratches. Shown with 3 1/2" indent for kitchen drain. 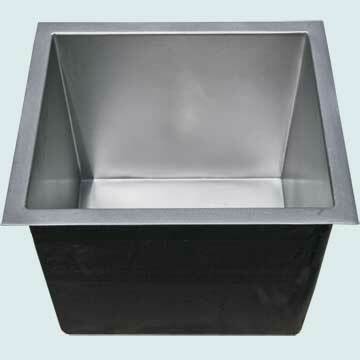 Also available with 2" bar drain. All interior corners are 3/4" radius for easy cleaning. Undermount flange, 14 gauge stainless. 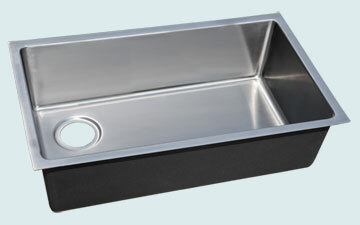 This moderate size trough sink is great for a small island. 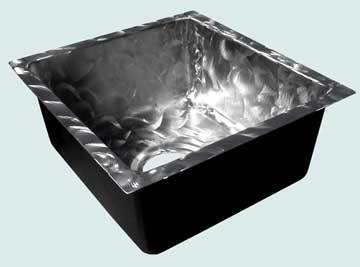 The 28" interior length of the sink allows us to build this sink economically with a center drain. All welded smooth 16 gauge copper, medium patina. The back deck of this smooth prep sink is wider than the other 3 sides to accomodate faucet holes and a hole for a soap dispenser or sprayer. 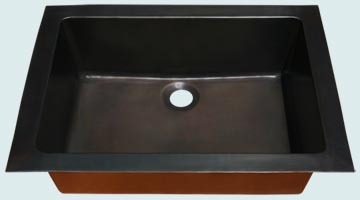 Medium antique ages the sink to a lovely golden color. This small farm house sink is perfect as a second sink in the kitchen. The Old World patina on the apron complements the Medium antique patina in the bowl. Made in 48 ounce new copper. Exact duplication of any particular color or pattern isn't possible with our Old World Patinas, but the general effect will be similar to those shown on our website. This deep bar sink has extra room. Medium antique ages the copper beautifully. 16 gauge copper. 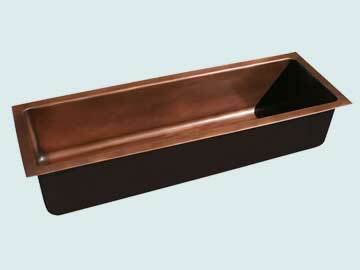 This small drop-in trough sink can fit in very tight spaces. All welded smooth 16 gauge copper, medium patina. 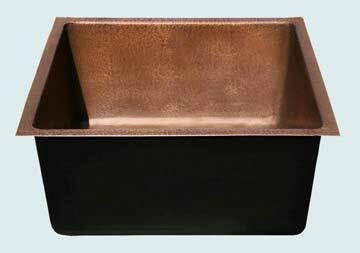 This elegant single-bowl sink is fully hammered and features our medium patina. 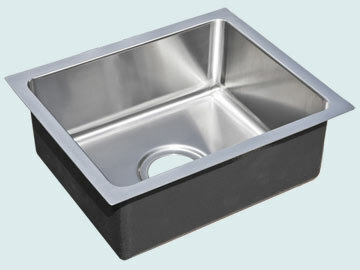 The upper flange is hammered, too, so it can be used as a drop-in sink or an undermount sink. This sink was made special to fit into a corner and follow the shape of the island countertop. 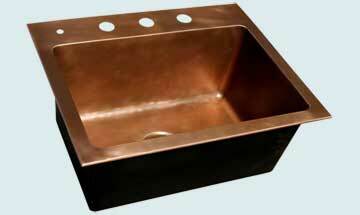 The sink is made from 48 ounce copper and includes our Light antique patina. The angled corners of this bar sink are wide and give the sink lovely proportions. 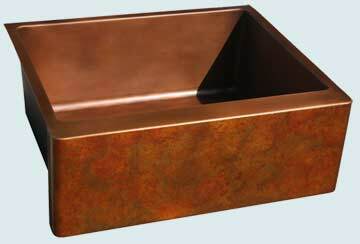 Medium antique brings out the beauty of the smooth copper. Available in any custom size. 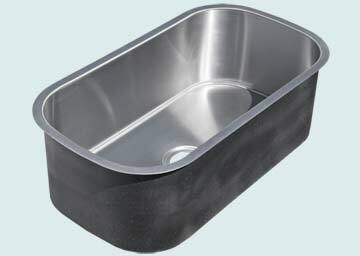 This fabulous sink is perfect for a second sink in the kitchen. 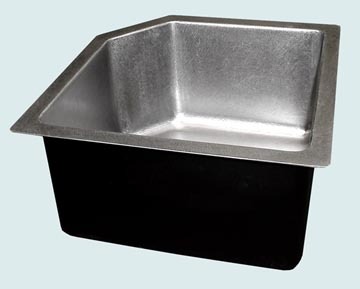 The outer flanges are extra wide so the counter top can be cut large enough to leave a reveal around the sink. It's made from 16 gauge bronze (naval brass) with dark oil-rubbed antique patina.